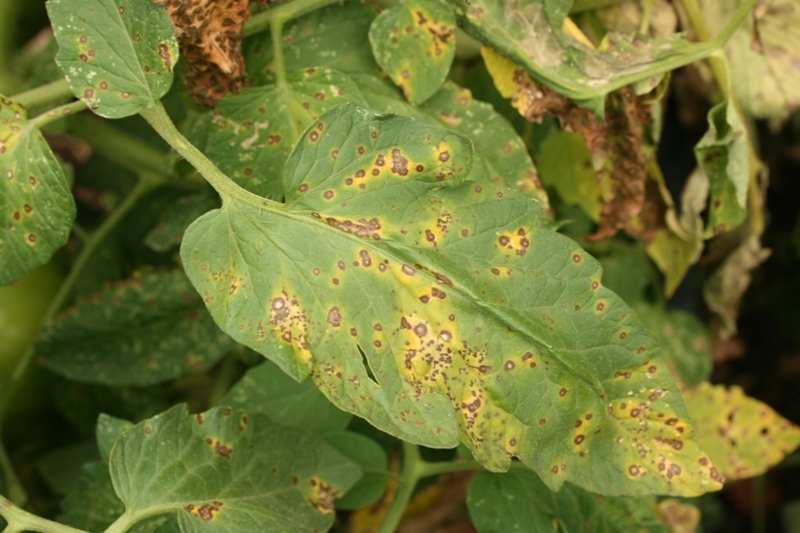 Septoria leaf spot is caused by a fungus, Septoria lycopersici. 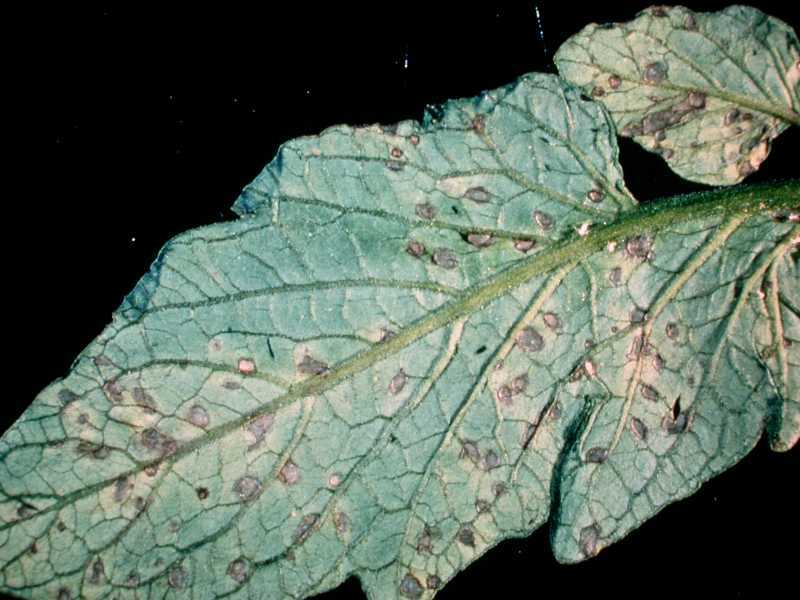 It is one of the most destructive diseases of tomato foliage and is particularly severe in areas where wet, humid weather persists for extended periods. 2. Improve air circulation around the plants. If the plants can still be handled without breaking them, stake or cage the plants to raise them off the ground and promote faster drying of the foliage. 7. Use fungicidal sprays. If the above measures do not control the disease, you may want to use fungicidal sprays. 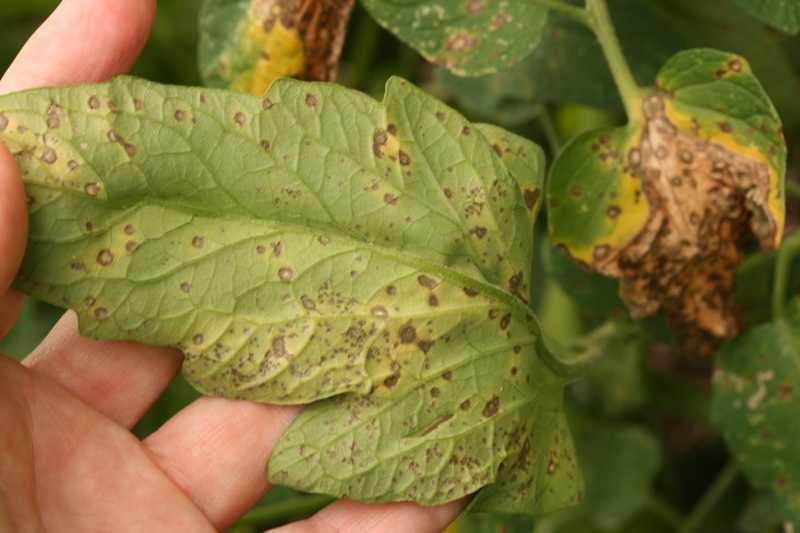 Fungicides will not cure infected leaves, but they will protect new leaves from becoming infected. Apply at 7 to 10 day intervals throughout the season. Apply chlorothalonil, maneb, macozeb, or a copper-based fungicide, such as Bordeaux mixture, copper hydroxide, copper sulfate, or copper oxychloride sulfate. Follow harvest restrictions listed on the pesticide label. Strategies 1, 2, 3, 4 and 6 are strictly organic approaches. Using an appropriate organic herbicide (or removal by hand) would be viable organic approaches to Strategy 5.